I’ve just released a major update to my most popular app called Analog Clock Tile. This app does one thing, and it does it great – it shows a clock (analog, digital, binary…) on a tile and updates it every minute. And that actually works. Maybe it doesn’t sound like a big deal, but I’ve seen many apps trying to do the same thing, without lasting success. I’ve invested a lot of time in optimizing background task that does the job – to be precise, I’ve developed and tested four different approaches, and implemented the best one. So, what’s new in version number two? 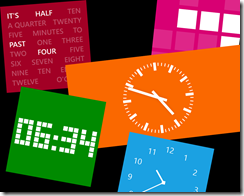 Download Analog Clock Tile here – it’s 100% free! That’s all for now, but more features are on their way. If you want to be the first one to try them, apply for a beta test on this awesome Windows Phone beta testing service. We have given away ten AdDuplex coupons this month to randomly chosen developers that have submitted their apps to WPbeta.me, a free service that connects Windows Phone developers with beta testers and helps them manage beta testing. From today, we’re taking this to the next level! AdDuplex and WPbeta.me will award every beta app, public or private, that has more than ten (10) active beta testers* with a 50 US$ coupon! That will come in handy when you publish your app, so you can promote it on the largest advertising network for Windows Phone. All you have to do is have ten active testers and click “Get coupon” on your app properties page on WPbeta.me site and you’ll get the code, as well as instructions how to redeem it. If you don’t use WPbeta.me, as a developer or a beta tester, what do you wait? Start now – it’s simple, useful and free! Good news! There is a competition going on and it’s targeting a lot of countries that usually cannot participate in these kind of stuff. Yes, I’m talking about Albania, Armenia, Bosnia and Herzegovina, Bulgaria, Croatia, Cyprus, Estonia, Latvia, Lithuania, Macedonia, Malta, Montenegro, Serbia and Slovenia – and the prizes (Lumias 1320) are per country! All you have to do is develop a new Windows Phone 8.1, Windows 8.1 app OR add features and upgrade existing application to 8.1 – and you can win one of four Lumia 1320 in your country. Everyone can participate – developers, students and startups, and the contests runs for a year, in four rounds! See all the details here. And good luck! *Apps with stars are added as private, so I’m keeping their names private. By the way, I’m more than happy to see my new service is used and loved by both developers and beta testers. Thank you for your support, for bug reports, feature suggestions and shares on social network. That really means a lot! And a few numbers for the end: currently, there are 53 active apps (beta and public) and 1038 user accounts created. The most popular app has 153 beta testers, and average number of beta testers is almost 41 (40.8). Have you ever submitted a beta app on Windows Phone Store? Well, you should have. (If you’re a Windows Phone developer, that is. If you’re just a user – jump to the end of this post – I have something for you, too.) Beta testing is really important part of app development and it’s your last chance to fine tune the application and be ready for the big day – the launch. You can do it privately, with the help of your friends, colleagues, or a client. Or you can do it publicly – sharing a word on social networks and asking people to try out your app. No matter what path you choose, the beta submission has the same requirement – you have to collect tester’s e-mail addresses, the ones they use as Microsoft Accounts on their phone. Otherwise they will not be able to download and install the app. This sounds complicated. And it is. (Well, it was before WPbeta.me, but let me get to the point a bit later.) But, you get a huge benefit – you don’t have to pass or wait for the certification. Your beta app is published almost immediately – you’ll just have to wait for about two hours for it to propagate to servers around the globe. WPbeta.me is here to make this easier. Just submit your AppID to our system, we’ll retrieve your app metadata and create a landing page for your beta with an URL of your choice (e.g. wpbeta.me/clock or wpbeta.me/topsecretXYZ). You can share that link to your closed group of testers, or publicly. The only thing testers have to do is click on a button, login with their Microsoft Account (that’s how we make sure that they give you a valid e-mail address) and you’ll have them on the list. You occasionally have to copy the list of beta testers from our site to your Dev Center account – and they’ll get an e-mail with the direct download link. You can even track who has clicked on the link and when. I’m no developer, but I wanna test new apps! We have something for you, too! Go to http://wpbeta.me/tester and find an app or two you like and join the beta testing. Ok, the list is rather short since we’re just launching, but it will grow. This is the first version of WPbeta.me and it’s in beta. There are a lot of ideas on the to-do list, and this service will improve and grow in features. I will be very grateful for all your feedback, bug reports and feature suggestions. You can use the contact page. I can’t believe you’ve read the whole post! Thanks! Now take a look at WPbeta.me! Today, more than four years later, Wall Of Silver is no longer mine. 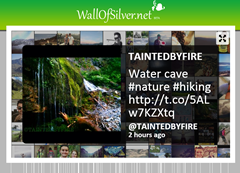 It has joined the TweetBeam Twitter Wall Family and it’s completely rewritten in HTML5. I haven’t worked on my Wall for years, and Yousef from TweetBeam made me an offer I couldn’t refuse. Interestingly, Yousef had participated in the same Mix10k contest with almost the same idea. His TweetArt (don’t click, doesn’t work any more) has grown into TweetBeam (working with many events world-wide), my Wall Of Silver entry (again, don’t click) got his own domain, and now, four years later – they’re together, ready to conquer the world of Twitter walls! 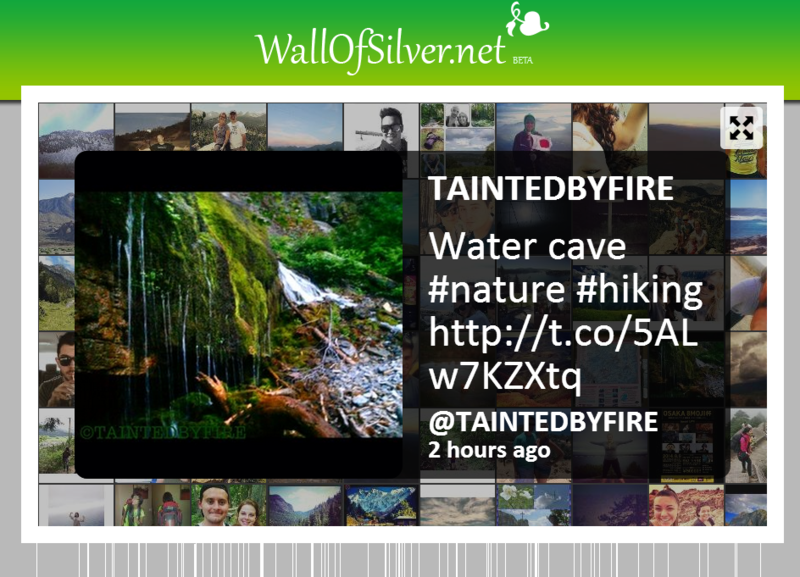 I’m glad that Wall Of Silver is reborn and that TweetBeam is taking good care of it! Good luck to you both! My Analog Clock Tile app is doing great, thanks for downloading it so much. I was pushing updates like crazy last few weeks, and I just may have overdone it. Windows Phone certification is extremely fast these days, it usually takes less than a couple of hours for the app to be certified. Then you have to wait two hours more for the app to be downloadable from the Store and available to your users. One day, I’ve pushed two updates in a row. The second one was submitted just after the first one had passed certification, so I haven’t waited two hours for the app to propagate through Store servers – I’ve pushed another update right away. 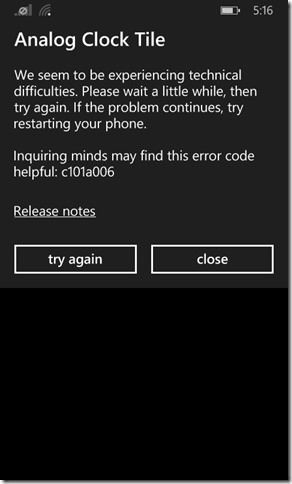 Next few days nobody could install the update of the app or even do a reinstall – error c101a006 was popping up all the time. The solution is simple – wait a couple of hours and push another update. So, from now on, I’ll do one update per day. Not only you don’t get the inquiring error, you get more sleep! This happens with beta submissions as well. I’ve learned that, the hard way, as well. I hope this will help somebody, although this is not the only cause of this beautifully-named easy-to-google error. I’ve been busy with a large project last few months, but now that’s over, I’ve switched to some fun stuff. 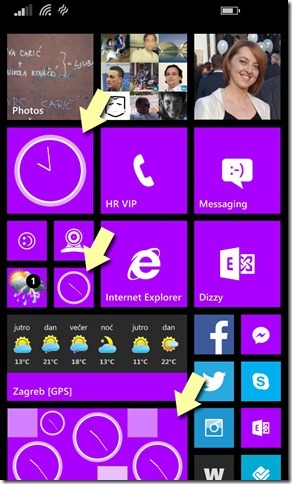 First on the list – a simple little app that shows analog clock on a live tile. That sounds like a trivial task, but actually it is not. 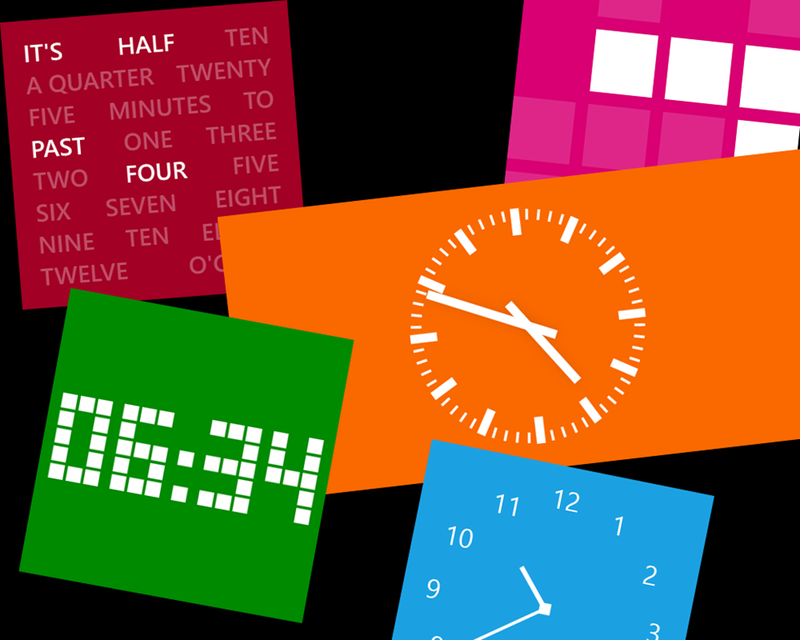 Windows Phone 8.0 restrictions says that you can update a tile once every 30 minutes, and that’s obviously not enough for updating a clock that needs to change every minute. 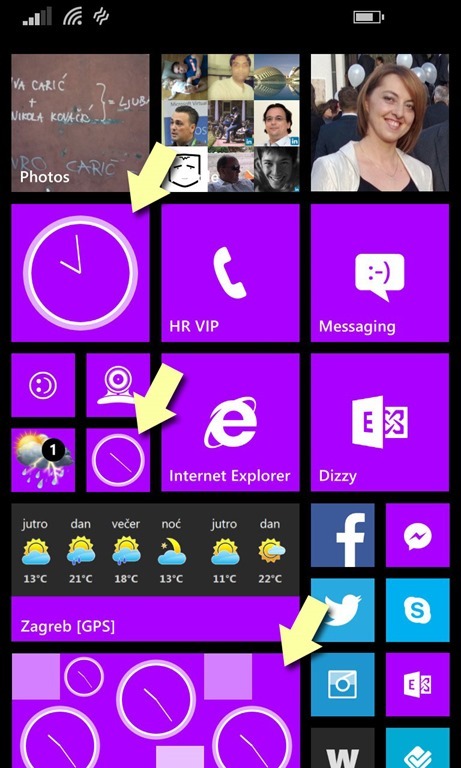 Windows Phone 8.1 introduced a way to update a tile more often, but the things you can to there is quite limiting. There are quite a few clocks with digital clock (e.g. showing the numbers on a tile). It’s quite easy to do that – take a look at the complete example here. 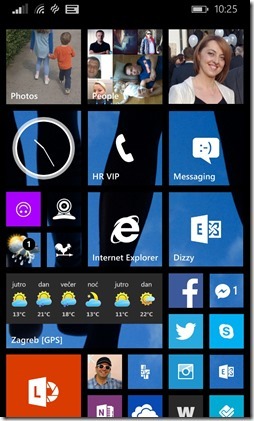 This originally is a Windows 8 project, but since Windows Phone 8.1, the (almost) same technology can be used for developing Phone apps as well. Furthermore, this app is made as Universal App (my first published), so expect Windows 8 version as well. 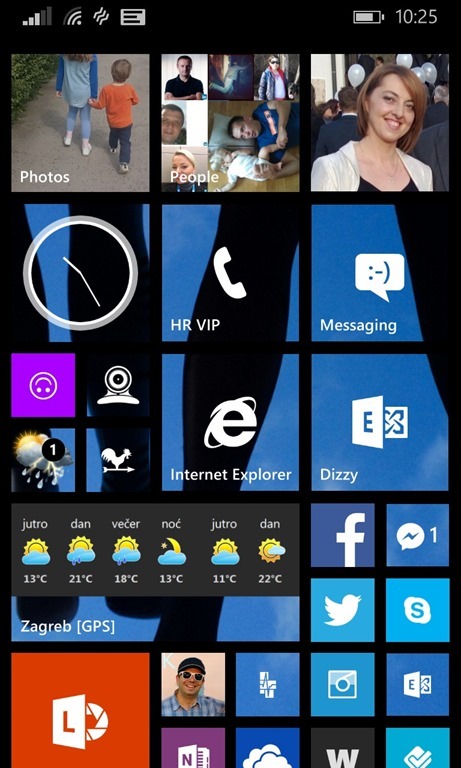 The app has a transparent, Cortana-like tile, so it works perfectly with custom backgrounds you may use in Windows Phone 8.1. There is a support for small and standard tiles, as well as a wide – but that last one is a joke. 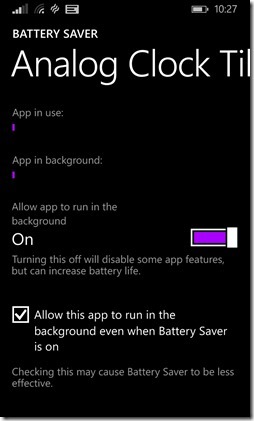 By default, the clock will not work if you have battery saver mode active. 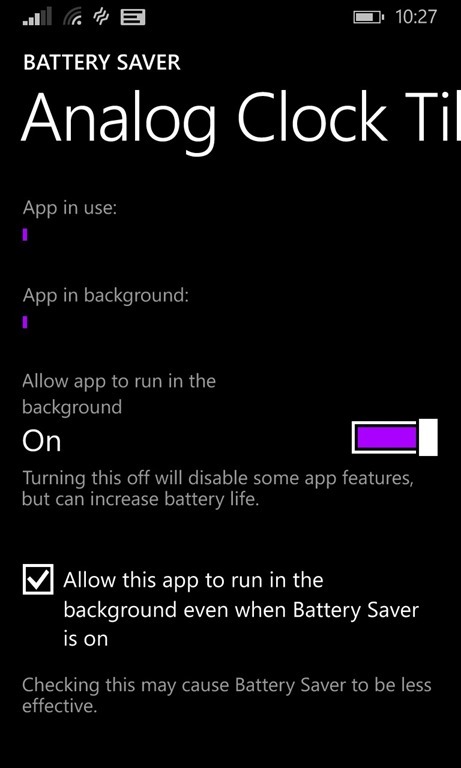 But that can be changed as well – go to Battery Saver app, find this app, and check “Allow this app to run in the background even when Battery Saver is on”. That will do the trick. This app is very gentle to your battery. 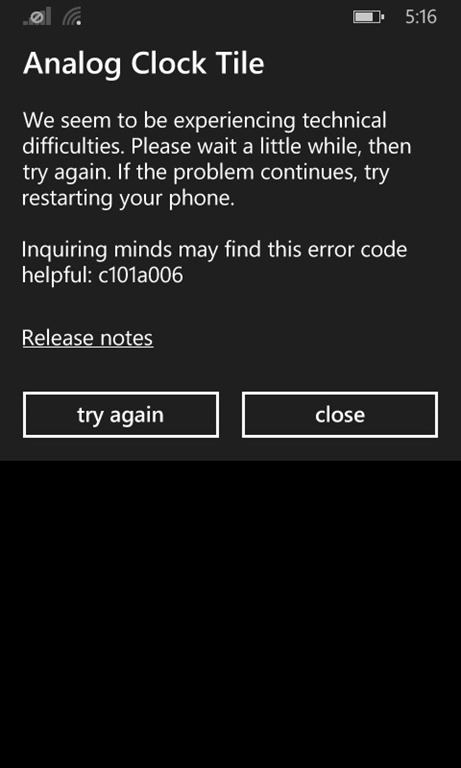 This is not something I did, that’s just the way this API is done, so all kudos go to the Windows Phone OS. To cut the story short – click here, install the app and let me know what you think. I hope you’ll like it. One thing I did definitely wrong was not giving a name to this promotion. Referencing it as “promotion for European devs” or “publish your WP apps for free” was quite difficult and not catchy at all. I’m noting this for the future. From your side, everything was perfect! I got a big number of shares, many retweets on Twitter (including some very popular profiles like @nokiadeveloper and @ch9), the story featured on WPcentral.com (wow, thanks! ), the initiative got support from Lance McCarthy (who did this in the first place for the US market) and – the most important – prototypes you have sent were great! Ok, there were few I’ll-make-this-in-an-hour-to-get-the-token apps, but most of them were pretty good and I’m very happy that all those enthusiastic developers got a small token of appreciation through this initiative. 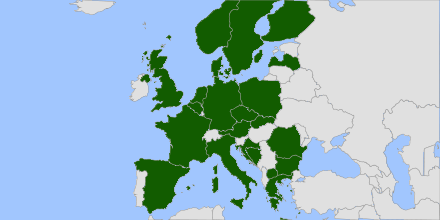 The offer was valid for European countries only, and the tokens went to: Austria, Belgium, Bosnia & Herzegovina, Bulgaria, Croatia, Czech Republic, Denmark, Finland, France, Germany, Greece, Italy, Latvia, Macedonia, Netherlands, Norway, Poland, Romania, Slovakia, Spain, Sweden and UK. There were multiple participants from each country, of course. The initial number of tokens was not enough, so I got another batch from Nokia during the last week – that lasted almost to the end (I was one day short). I asked each developer to send me a link to his/her app when published in the Store. I got quite a few links already, and the apps look great, so I’ll probably do a blog post with the top 10 apps from this initiative. Once again, thanks to the Nokia Developer Champions program for making this possible!